Today was a fun day. Member sgbroimp (Steve) gifted me his Sony DTC-59ES digital audio tape machine that he no longer had a use for. It arrived today along with a box of 100 DAT tapes. What a great gift. I already own and enjoy a Sony DTC-60ES DAT machine that I have installed in the living room system. Getting the DTC-59ES DAT machine as a gift is wonderful. I was pleased to discover the DAT machine was in very good condition both cosmetically and mechanically. 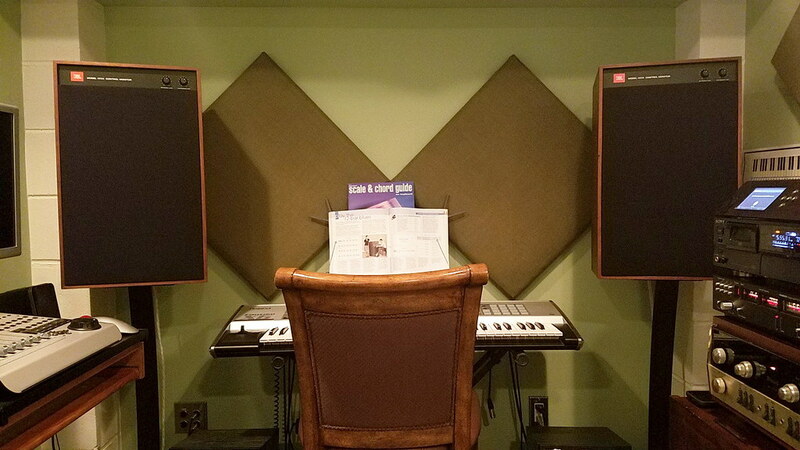 It only took me a few minutes to get it installed in the vintage sound system set up in an alcove area of my recording studio control room. 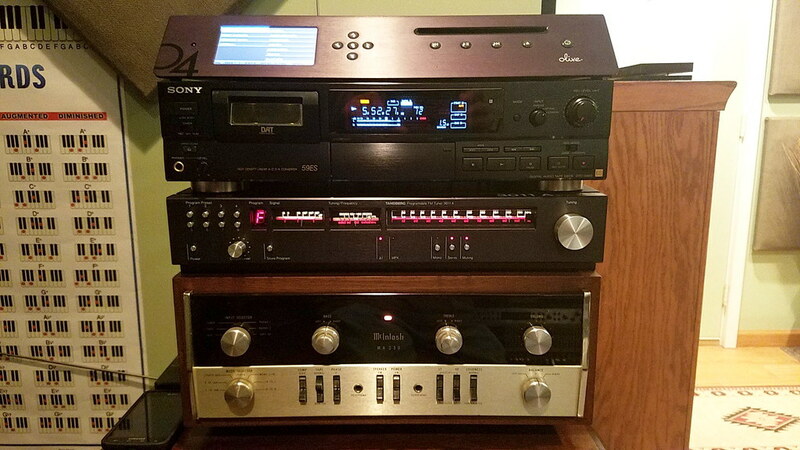 The vintage system includes the McIntosh MA230 integrated amp, a Tandberg 3011A tuner, an Olive 04HD music server/DAC, JBL 4312A speakers, and now includes the Sony DTC-59ES DAT machine. A big thank you to Steve for gifting me his Sony DCT-59ES DAT machine. I have already listened to two of the 100 DAT tapes Steve included, Tracy Chapman, and Houston Person. So nice. I connected the digital output from the DAT machine to the digital input of the DAC in the Olive 04HD music server, as well as the analog outputs of the DAT machine to the tape monitor inputs on the McIntosh MA230. This allows me to do direct A/B comparisons of the DTC-59ES DAC output and the Olive 04HD DAC output. So far the DAC in the Olive 04HD has the edge over the older DAC in the DAT machine but not by a wide margin. Both sound quite good but the 04HD DAC seems to have a bit more air around instruments and voices. Like I said, this has been a fun day. Last edited by jdandy; 08-23-2018 at 08:44 PM. Make sure those MA230 power tubes get fresh air! Gary.......This vintage system would not have been possible if you had not given me your father's MA230. I think about that every time I push the power switch on. 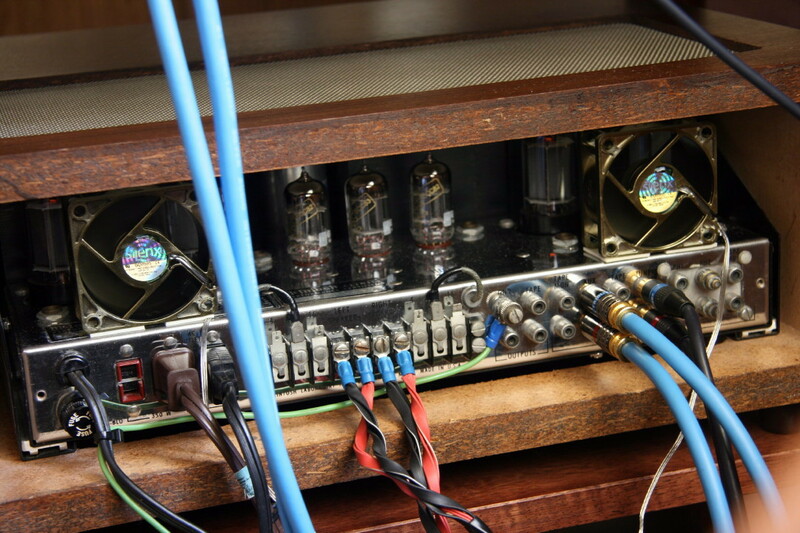 This integrated amplifier sounds so sweet since Terry DeWick performed the restoration. I wish you could hear it. You would be pleased. Don't worry about the amplifier getting hot. I have two SilenX 12 volt fans that are powered by a 6 volt transformer from one of the amp's switched outlets. This reduces the fan speed so they remain silent, but each fan still pulls enough cool air across the 7591 tubes to keep the top of the cabinet's metal vent cool to the touch. There is no issue with heat, not even with the gear stacked as I have it. I appreciate the heads-up about getting fresh air. You can rest assured I have it under control. I love this MA230 integrated amplifier. I will remain eternally grateful for your generosity of gifting me this vintage McIntosh amplifier. I think your father would be quite pleased to know the MA230 still makes wonderful music. I'm sure it would have performed better if we had fans like that back in the day. Terry did a great job. The back of the unit never looked so good. Very cool indeed Dan....I can attest that this "little" vintage system sounds wonderful in Dan's control room, and I have no doubt this addition makes it that much sweeter! Very nice vintage setup Dan. Are the fans effective in keeping all the heat from radiating into the upper units? I only mention this because I know the tremendous heat generated by four 7591s. Eric.......These two fans pull air from the cabinet. They draw enough air from the cabinet to keep the metal grill on top nearly cool to the touch. In addition, the control room is kept at a comfortable 74 degrees which adds to the efficiency of the fan's cooling effect on the interior of the wooden cabinet. There is no issue with overheating. My original MA230 that I owned back in the 70's did not have fans. I kept the MA230 in an identical cabinet. The metal vent in the top of the cabinet got hot as hell over the power tubes. In fact, over the years of use the grill had four discolored circles in the metal from where the heat off the tubes had cooked the finish. As you can see from my photo above, there is no discoloration on the metal vent in my current McIntosh cabinet. I can place my hand on the metal without discomfort and it is barely warm to the touch. The two SilenX fans do a fine job of evacuating the heat. Last edited by jdandy; 08-28-2018 at 03:29 PM. Sounds good. I wasn't sure whether the fans were able to pull the heat out fast enough - I know how hot those 7591s get in my MAC1500. Unfortunately there is not enough room on the chassis to set up fans on the MAC the way you have them on the MA230. The mesh on the cabinet has the same heat discoloration that you mention. Job nicely done, as always.